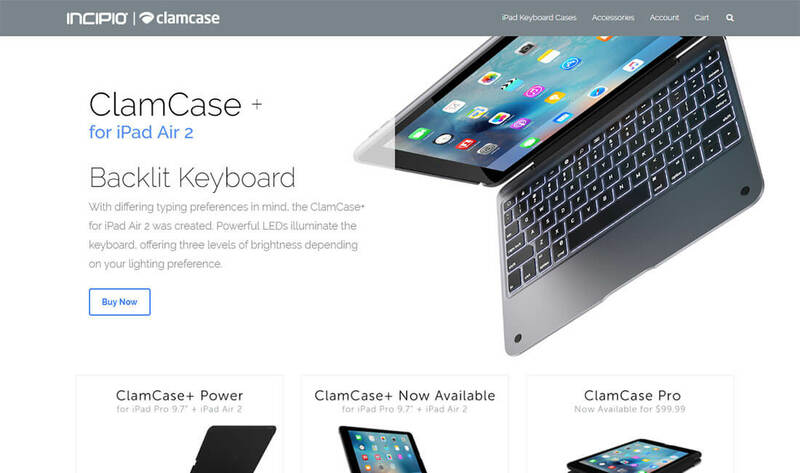 ClamCase provides the keyboard case for Apple iPad devices. It is operated and owned by Incipio, LLC ("Incipio"). Incipio also provides accessories for their ClamCase and for other mobile and ipad devices. Customers enjoy their favorite games, movies and apps at any angle with ClamCase's patented 360° hinge. The fully adjustable case provides a remarkably comfortable experience. Snap into ClamCase and use your iPad hands-free. 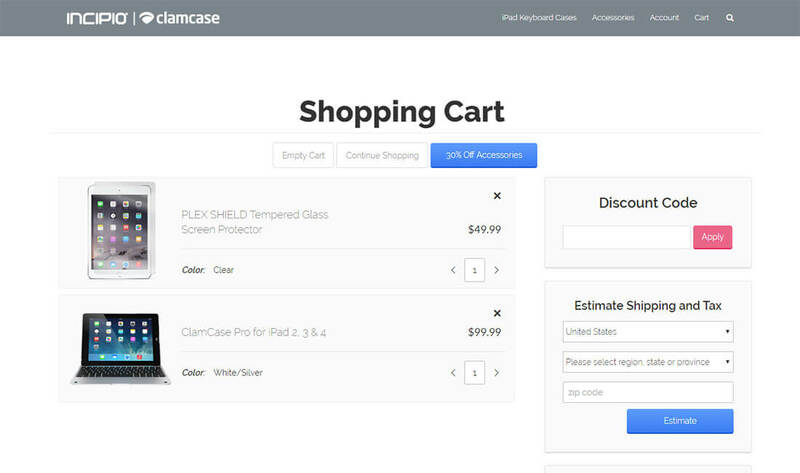 Clamcase’s products belongs to Apple world, hence needed to match standards. Beside the representation it also needed a system to fulfil bulk of order they were getting smoothly. 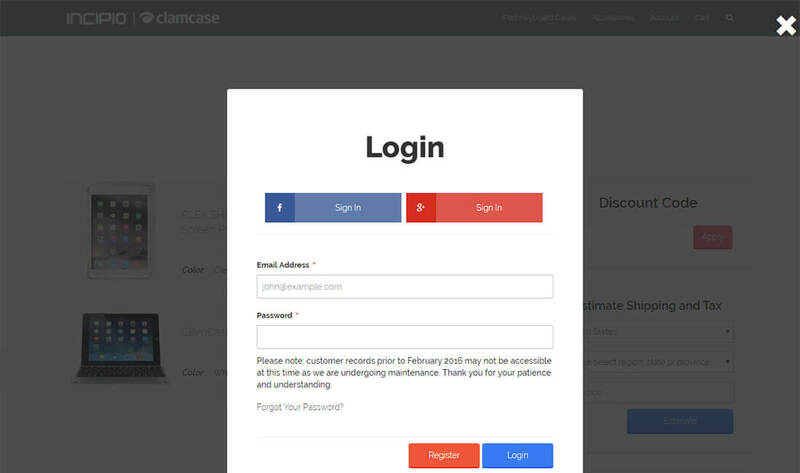 We worked with the design team to realise the designs to custom product pages. With pixel-perfect vision we created Magento themes for each unique product of ClamCase. After delivering absolute solution respective to their requirement Incipio team is very satisfied and also they got very good customers.